UT student-athletes earned a collective grade point average of 3.115 for fall semester, the second-highest mark in school history. The best combined department GPA was 3.157, set last spring. The 3.115 GPA also marked the seventh time in the last nine semesters that UT student-athletes earned a combined GPA higher than 3.0. Additionally, 11 of UT’s 15 sport programs had team GPAs of 3.0 or above, and every team had a combined GPA of at least 2.6. Individually, 27 student-athletes earned perfect 4.0 GPAs last fall, while 115 individuals (more than 30 percent) earned a spot on the dean’s list by garnering at least a 3.50 GPA. Additionally, 55 percent (211 of 383) of UT student-athletes achieved a 3.0 grade point average or better for the 2009 fall semester, the 12th consecutive semester in which at least half of Rocket student-athletes earned a 3.0+ GPA. Women’s golf led the way with a team GPA of 3.651, followed closely by women’s soccer with 3.637. Both teams came very close to setting the team record for GPA in a semester; that 3.685 mark was set by women’s soccer last spring). A University of Toledo study has linked childhood abuse and neglect to chronic migraine headaches and a constellation of chronic pain conditions. 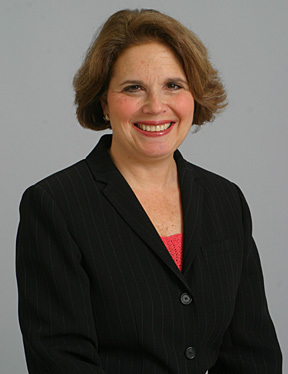 Dr. Gretchen Tietjen, professor and chair of neurology, director of the Headache Treatment and Research Program, and director of the Stroke Program, led a two-year study using 1,348 patients with migraine headaches, including approximately 200 participants from the greater Toledo area. The participants sought care at 11 headache centers throughout the United States and Canada. During the course of their treatments, they provided information through interviews, exams and electronic surveys. The data included inquiries about pain conditions associated with migraine headaches, as well as responses to the Childhood Trauma Questionnaire. • Emotional neglect, 38 percent. “Reports of childhood maltreatment, especially emotional abuse and neglect, are prevalent in outpatients with migraine,” according to the study’s conclusion. Respondents with histories of abuse were more likely to report being treated for other chronic pain conditions such as irritable bowel syndrome, fibromyalgia, chronic fatigue syndrome, arthritis and interstitial cystitis. The study does not represent the general public, since respondents were identified as those with diagnosed migraine headaches. About 40 percent of study participants reported daily headaches. “This is a population that is suffering enough to seek help from headache specialists,” Tietjen said, noting that migraine headaches also have been linked to depression and anxiety. 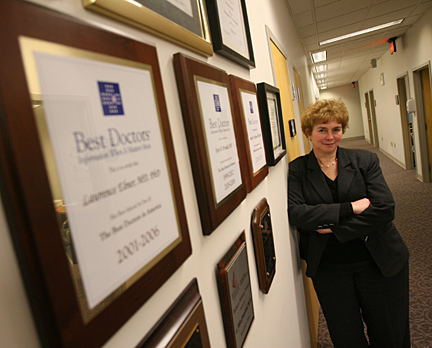 She cited previous studies showing that childhood maltreatment can alter the structure, function and genetics of the brain, and hopes her research leads to further understanding of relationships between early abuse and pain conditions. The UT study, which was published in this month’s edition of Headache: Journal of Head and Face Pain, was released in September. It was funded partially with a $15,000 grant from the American Headache Society. Tietjen is planning further investigation into the mystery of chronic headaches. I was a patient at UT Medical Center 48 days. I had one surgery in July and two in August and ended up in the Intensive Care Unit twice. I wasn’t expected to live after the first surgery. But I am writing today thanks to the doctors and staff there. As a licensed nurse in six states, I’ve worked in a lot of hospitals. Doctors suggested I go to the Mayo Clinic or the Cleveland Clinic for care. I’ve worked at the Cleveland Clinic and knew they were short on nurses, and the Mayo Clinic was too far from my family and home in Indianapolis. Since nobody would take my case in Indiana, I contacted my former physician, Dr. John Geisler, who transferred to UT Medical Center for research. He still had me down as his patient, so I decided to come to Toledo for care. And it was care I received at UT Medical Center. To be honest, at first, I was reluctant to come to a research hospital as I’ve seen what goes on behind the scenes at some institutions. But so many people there were phenomenal. I’ve sent cards and taken a few gifts to show my appreciation as I continue to visit Toledo for treatment, but I wanted to take a few minutes to recognize some people who made a difference in my life. When I was at UT Medical Center, I remember waking up in the ICU and one of the doctors walked in and I grabbed his hand and said, “Please don’t let me die,” and fell back asleep. I had been on a ventilator and was swelling with fluid. I woke up hours later and that doctor was still there. I drifted off again and awoke to pounding; it was the doctor trying to get me to breathe. I asked everyone who this doctor was; people thought he was a figment of my imagination. But Dr. Geisler told me it was Dr. Thomas Papadimos. That division chief stayed with me around the clock. I gave him a gift during a recent hospital visit and told him, “God does use some of his angels to get to some of his children.” That’s all I could say to him. Dr. Geisler performed my first two surgeries there, and his wife, Dr. Kelly Manahan, performed the last surgery. It was Dr. Manahan who told me on Aug. 24 that if I didn’t have surgery within one hour, I would die. She and Dr. Geisler performed so diligently, removing the diseased masses piece by piece from my pancreas and colon. What’s more, when Dr. Geisler wasn’t at the hospital, he gave his personal pager number to my husband, Gene. That same concern and care was given by several nurses as well. I remember Roxanne Grinonneau, Jen Schell and Allison Batey; they were just awesome. It still makes me cry when I think about how wonderful they were to me, and I wasn’t the best patient. I was incontinent and needed tending to every 15 minutes or the bedding needed to be changed. It was Roxanne who requested me as a patient for continuity of care because I was on my deathbed. I don’t know how many times I hit the call light or was incontinent, but those nurses’ attitudes never changed; they were friendly and polite. They lifted my spirits. As a nurse, I know recognition doesn’t always come our way. I want Pam Major, 4AB Med/Surgery GI nursing supervisor, to know I would love to work with nurses like she has on the fourth floor. I’d want to go to work every day; I’d be proud to work with a staff like that. I also want to recognize Lakisha Carter, patient care aide on 4AB. She looks like a Barbie doll and works like an angel. When I didn’t want a bath, she told me how it would make me feel better, gave me a massage, and braided my hair, which had started to fall out. She even tried to feed me when I didn’t want to eat. Before that surgery on Aug. 24, Lakisha and the nurses knew I was going septic and my prognosis wasn’t good, but none of them wanted to tell me. They all kept smiles on their faces whenever they walked into my room. They really care for their patients, just like Dr. Geisler, Dr. Manahan and Dr. Papadimos. I still have a long way to go and will continue to travel back to UT Medical Center for treatment. I’m not guaranteed tomorrow, but I want to make sure the people who took care of me are recognized. If I had the power to put my story on CNN, I would. When I get better and return to being a traveling nurse, I’ll be telling everyone about UT Medical Center. I would not hesitate to send anyone there for care. Most business professionals who were honored during the 2009 Entrepreneurial & Business Excellence Hall of Fame Induction Ceremony in November had been informed of their award in advance. The exception was the winner of the final award, the prestigious Davenport-Longenecker Lifetime Achievement Award for Business Advocacy. Debbe Skutch, director of the Center for Family & Privately Held Business at The University of Toledo College of Business Administration, was quite surprised when she was introduced as the recipient. Especially since she served on the executive committee for the event. “With planning for the event with the executive committee and all the activities surrounding the College of Business Administration dedication of the Savage & Associates Complex for Business Learning and Engagement in November, it escaped me to ask who would win, and no one brought it up,” she said. The Davenport-Longenecker Lifetime Achievement Award for Business Advocacy is given annually to an individual selected for a lifetime of positive impact on this region’s business community. The recipients have influenced the success of many others and have established a legacy of making a positive contribution to this region’s vitality. The award is named for Larry Davenport, one of the founders of the Entrepreneurial & Business Excellence Hall of Fame Induction Ceremony, and Dr. Clinton Longenecker, UT professor of management. “This award is really a validation of the work of the Center for Family & Privately Held Business. It’s the center and its members that are being recognized,” said Skutch, who has been with the program since it was established 18 years ago. The center started with 50 members and now has 128. She credits having mentors and access to entrepreneurs and family business owners as critical elements of the center’s success. “We realized early on that the expertise is within our membership, and the center has remained member-driven. We’ve facilitated their sharing and learning from each other at programs, symposiums, affinity groups and more,” Skutch said. The Entrepreneurial & Business Excellence Hall of Fame Induction Ceremony was presented by Rocket Ventures and Launch, programs of the Regional Growth Partnership, and sponsored by Gorillas & Gazelles LLC in partnership with UT and Bowling Green State University. Proving that family extends beyond blood relation, The University of Toledo community is rallying around former employees affected by recent budget cuts. Spearheaded by the officers of the College of Medicine Faculty Council, a new fund has been established at the UT Foundation to assist employees laid off since July 1. The Employee Relief Fund is designed to reimburse a portion of the base COBRA costs for qualifying former employees who elected this coverage upon their departures. The application process for qualifying individuals is still pending and will be dependent upon the amount of contributions received. Due to the urgency of payment and reimbursement issues, the College of Medicine Faculty Council hopes that gifts to the fund will be made as soon as possible. The committee would like to garner enough support to assist displaced employees through June 30. Members of the College of Medicine Faculty Council and staff from the UT Foundation collaborated with multiple offices throughout the University to create the fund. Contributions may be made as one-time, tax-deductible gifts or as intermittent payroll deductions until June of this year. Donations may be sent to the UT Foundation, mail stop 319, or made online (specify the “Employee Relief Fund” in the “Other Designation” box) at www.utfoundation.org. Length of the payroll deduction will be based on how long it takes your per-pay allotment to reach the total pledge amount. Questions can be directed to Bryan Dadey, vice president of finance and operations, UT Foundation, at 419.530.5607. Since 1983, the Kobacker Center, a UT Medical Center facility, has been northwest Ohio’s only hospital devoted to treating the emotional and behavioral needs of children and teens. All 48 patients enrolled in the Kobacker Day Treatment Program and their family members are encouraged to attend the Family Health Fair Thursday, Jan. 14, from 1 to 2 p.m. in the Kobacker Center on Health Science Campus. The health fair will feature free resources and information from several University and UT Medical Center departments, including Pharmacy and Cardiology, and the Wellness Center, among others. Operated in cooperation with the Toledo Public Schools, the Day Treatment Program provides care for emotionally disturbed and behaviorally challenged children between the ages of 5 and 12. In addition, the program includes a partial hospitalization component certified by the Ohio Department of Mental Health. This free health fair is only open to patients and family members associated with the Kobacker Center. For more information on the Kobacker Center, contact Denise Kidder, clinical director of the center, at 419.383.3829. This week, many students will begin to notice pop-up notifications on University computers as they print materials. The notifications are part of a new University-wide sustainable printing pilot project that gives every student the ability to print up to 1,200 pages per semester free of charge. As they print, students will see a running total of their semester’s worth of printing and be given an additional chance to accept or cancel print jobs. Dr. Godfrey Ovwigho, vice president for information technology/chief information officer, said the new limits were put in place as part of the University’s drive to become more sustainable and environmentally friendly. The allowance is made possible by new print management software that has been installed in most of the computer labs across the University. When students sign on to computers with their UTAD account information and attempt to print, they will see a notification about how much of the allotted 1,200 pages they have remaining. Tom Trimble, associate director of the Student Union and chair of UT’s Go Green Work Group, said a recent recycling study the University conducted with Lott Industries has shown that from the middle of November until Dec. 22, UT recycled 14,100 pounds (or about 350,000 sheets) of used, discarded white paper. Trimble said other initiatives, such as a competition between area universities called Recycle Mania, will launch soon. If students need to print more than 1,200 pages in any given semester, they will need to make arrangements with their college’s technology director, Ovwigho said. • Print only one or two drafts of your writing assignments. Printing each time you change a comma can be costly to your print limit and the environment. • Don’t print an entire Web page just to remember its location or one portion of the information on the page. E-mail yourself a link; it’s easier, quicker and more sustainable. • Use scrap paper whenever possible. • If making copies, use both sides of the paper to cut your impact in half. Though this is a new University-wide initiative, several colleges, including the College of Pharmacy and the College of Engineering, have had student printing limits in place for some time. Col. Jack Lousma is one of the few people who has seen the entire Earth in the blink of an eye. The retired astronaut will give a talk in Doermann Theater at 7 p.m. Thursday, Jan. 14, as part of the celebration of the 100th anniversary of the College of Arts and Sciences. Lousma was a member of the support crew for the Apollo 9, 10 and 13 missions. Though he didn’t fly in the Apollo 13 mission, he was the capcom recipient of the famous “Houston, we have a problem” message from the troubled astronauts. 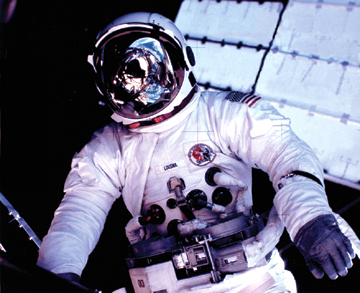 His spaceflight experience consists of piloting Skylab 3. Lousma also was commander on the third Space Shuttle mission. He has logged more than 1,600 hours in space (totaling just over two months) and spent 11 hours on two spacewalks outside of the Skylab space station. The free, public event is co-sponsored by the College of Engineering. Dr. Thomas E. Brady, interim dean of UT’s Judith Herb College of Education and founder of Plastic Technologies Inc., recently received the 2009 Lifetime Achievement Award from the Society of Plastic Engineers’ Blow Molding Division. The award is presented annually to individuals who have demonstrated exceptional contributions to blow molding technology. Brady is well-known in the plastics and packaging industries as a technology innovator and founder of seven related companies. The flagship company, Plastic Technologies Inc., opened its doors in 1985. Today, the companies employ 200 people worldwide and operate from corporate locations in Holland and Bowling Green, Ohio, as well as Yverdon-les-Bains, Switzerland. Prior to founding Plastic Technologies Inc., Brady was vice president of plastics technology for Owen-Illinois Inc. There, he led the development of the first polyethylene terephthalate (PET) soft drink containers and directed the technical activities of the plastic product lines. As a researcher at Owen-Illinois, Brady was part of the team that studied molecular orientation in PET and the stretch blow molding process. The culmination of this pioneering work was the introduction of the first continuous rotary reheat stretch blow molding machine in the United States. This led to the commercialization of PET as a preferred option for many rigid packaging applications. Brady’s initial vision for Plastic Technologies Inc. was to provide technical development services for those wishing to enter the PET arena. The resulting projects continued to fuel commercialization for PET containers and bottles. He also pushed for the development of recycling technology. Phoenix Technologies was formed in 1992 and is now one of the largest global recyclers of PET for bottle and blow molding applications. 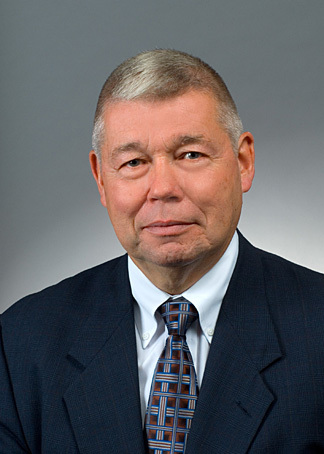 During his career, Brady has been active in the Society of Plastics Engineers, the International Plastics Processing Society, the American Chemical Society and the Ohio Polymer Strategies Council. He earned his PhD in plastic materials engineering from the University of Michigan and his master’s and bachelor’s engineering science degrees from Dartmouth College. The University of Toledo Board of Trustees announced this week the names of four faculty members who have accepted invitations to serve as non-voting members on four board committees. Trustees have been in discussions for several months about the possibility of adding faculty voices to board committee discussions. • Audit — Dr. Hassan HassabElnaby, associate professor of accounting and assistant director of the doctoral program in the College of Business Administration. HassabElnaby’s research areas include corporate governance and effectiveness and oversight responsibilities of audit committees. • Clinical Affairs — Dr. Roland Skeel, professor of hematology and oncology and chair of the Institutional Review Board. In his more than 35 years at the Medical College of Ohio and UT, he has served in multiple administrative and faculty senate roles, including as acting dean of the College of Medicine earlier this decade. • External Affairs — Dr. Jamie Barlowe, professor and chair of the Department of Women’s Studies, who is the immediate past president of Faculty Senate. • Finance — Dr. Bina Joe, associate professor in the Department of Physiology and Pharmacology in the College of Medicine. Joe has expertise in handling finance for multiple federal grant accounts. The board previously had asked the president of Faculty Senate to join the Academic/Student Affairs Committee and as current president, John Barrett, associate professor of law, has been serving on that committee. Summons said that after a call for nominations went out to faculty in the fall, she reviewed the list with Bill Fall, vice chair of the board, Susan Gilmore, chair of the Trusteeship and Governance Committee, and Barrett. Summons said she and Fall reviewed the list with UT President Lloyd Jacobs and both provosts before ultimately arriving at these selections.